Attempts to censor and control minds can be readily found in democracies. After the initial shock of 12 slaughtered at the Charlie Hebdo offices, the controlling types have emerged, brusquely advising entire populaces how to mourn, how to react, how to tame others. The Telegraph offers two examples. "The Prime Minister agrees with Sajid Javid, the Culture secretary, that the Muslim community has a 'special burden' and that it is 'lazy and wrong' to say that the Paris attacks have nothing to do with Islam." The argument is that the extremism is a perversion of faith, that tackling extremism requires working closely with the Muslim community. No mention in the article that a self-identified Muslim man hid victims in a freezer in the related attack on a Kosher grocery market in Paris or that a Muslim police officer was among the victims during the attack on the satirical newspaper. No mention that numerous Muslim leaders and organizations swiftly condemned the crimes. Then, the same newspaper points out that "US media questions why neither Barack Obama nor top officials attended Paris Charlie Hebdo rally" and notes: "French President Francois Hollande and some 44 foreign dignitaries, including leaders from Germany, Italy, Britain, Turkey, Israel and the Palestinian territories, led up to two million people in what commentators said was the largest crowd in Paris since its liberation from Nazi Germany in 1944." Obama and other government leaders have plenty to do in securing communities and workplaces - not simply adding more guards and surveillance, but by being a voice of reason, improving education, being a role model for public discourse, while maintaining the stretched social safety net that provides security for so many families. Government has much to do. In the meantime, citizens must grapple with the tragedy and knowledge that their communities are never as safe as they once had thought, and be allowed to grieve as they see fit. Pressure on how to think or behave is inappropriate so soon after such a tragedy. Anyone who has witnessed controlling parents can point out that children or other subordinates often resist such pressures. Pressure does not persuade others to think alike. For families and communities, as suggested by Allure of Deceit, neglect may be more dangerous for encouraging extremism. How to mourn, whether that's advice for an individual or all members of a religious group, is not the province of political commentators. 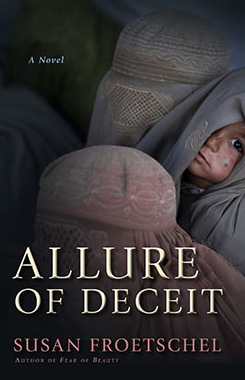 Write to request review copies of Allure of Deceit. 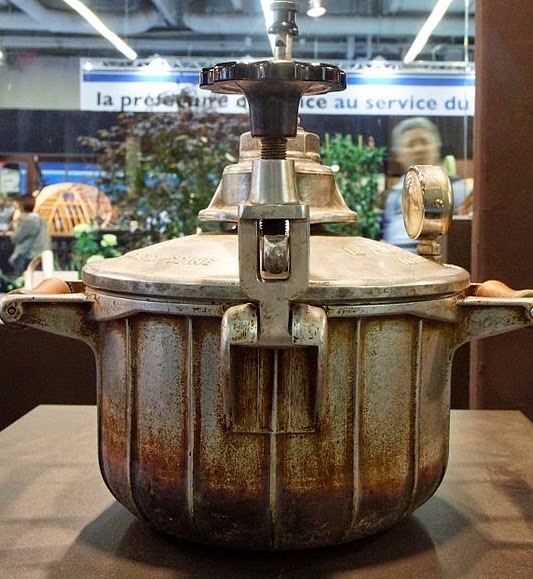 Photo of 1911 pressure cooker courtesy of Thesupermat and Wikimedia Commons. 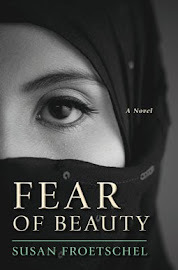 Susan Froetschel is the author of five mystery books, including Allure of Deceit and Fear of Beauty, set in Afghanistan. Her novels explore parents and children who tackle public policies that others in their community take for granted. Simple theme. Theme images by clintspencer. Powered by Blogger.